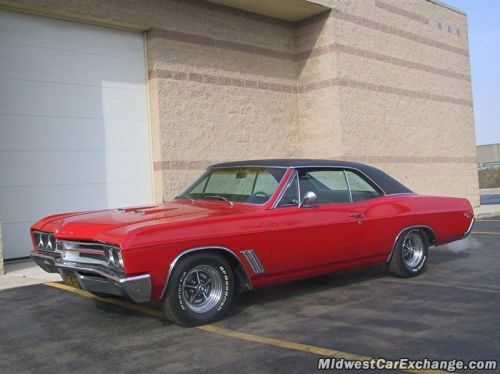 The 1965 Buick Skylark saw the introduction of an all new 400 cid performance oriented motor. This represented a signifcant shift in thinking for Buick executives. The addition of a large motor to an intermediate platform such as the Skylark created the potential for a powerful muscle car. In fact, within five years Buick would be well known for building some of the highest horsepower cars to ever come out of Detroit. The 1965 Skylark Grand Sport had a 115 inch wheelbase and featured a heavy duty suspension including additional leafs in the rear springs and heavy duty front roll bar, beefy convertible frame, and powerful 401 cid motor. This motor was known as the "Wildcat 445" which referred to the torque the motor produced (325hp/ 445ft lbs). The motor was available with three speed, four speed, and the Super Turbine 300 automatic. Combined with a 3.73 rear end ratio these cars could keep up with many muscle cars of the era. 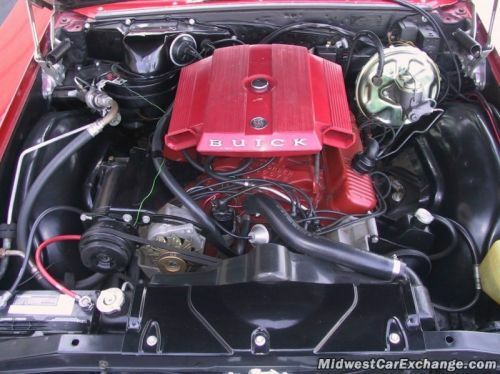 At the heart of Buick was the 401 motor churning out 325hp and 445ft/lbs of torque.